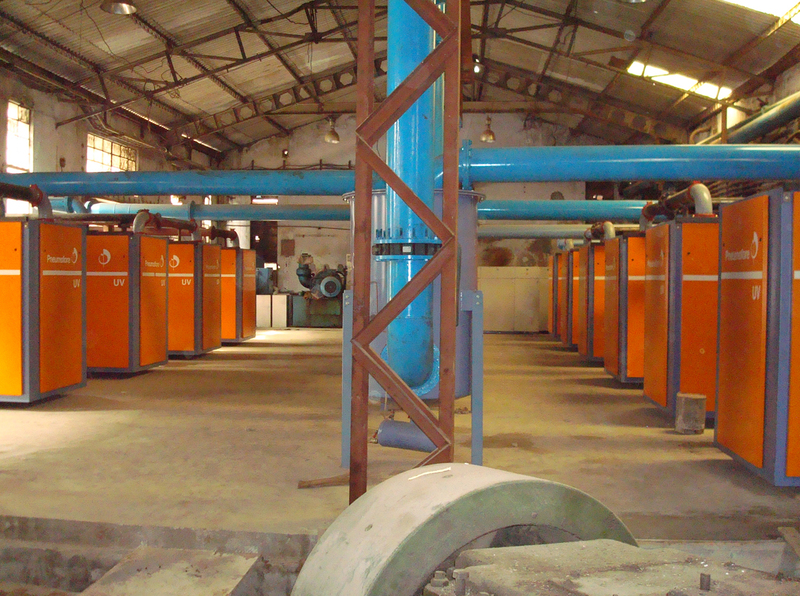 A large vacuum system for hollow glass production was delivered to Hindustan National Glass and Industries (HNGI) in Haryana, India early 2009. With the total capacity of 10 pumps mod. 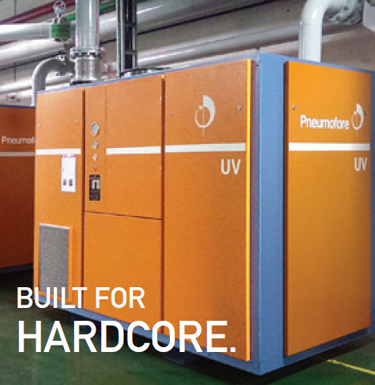 UV50 VS90 HC, this project represents the largest vacuum installation realized by Pneumofore for a single glasswork. A manifold of DN400 connects the 10 pumps mod. 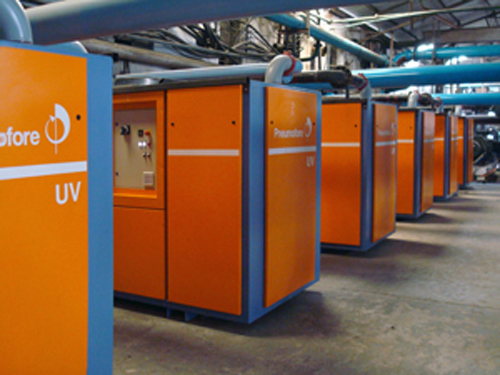 UV50 VS90 HC on each side of the vacuum pumps room to achieve the maximal capacity of 32.400 m3/h vacuum to serve the moulding process of hollow glass containers. All 10 units are equipped with a variable speed drive (VS version) and are designed for air cooling in high temperature climate (HC version). When analyzing the possible solutions to meet the specifications, key features of the UV pumps resulted to be appropriate. 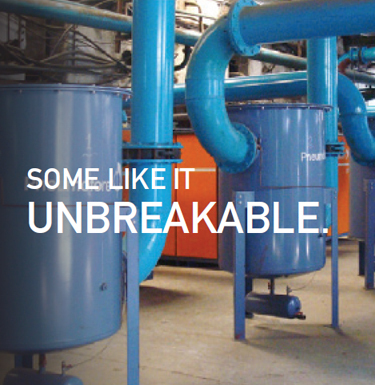 First the air cooling, avoiding complex water cooling circuits with water pumps and cooling towers, which require considerable maintenance to keep their performance. Second the variable speed solution, where the rotation speed of pumps is constantly adapted to the required pressure value. With this optimized power absorption, the total electrical consumption is lower than any other technology to serve with vacuum the 100 + sections on various IS machines. The vacuum system includes also 5 filters, so called demisters mod. 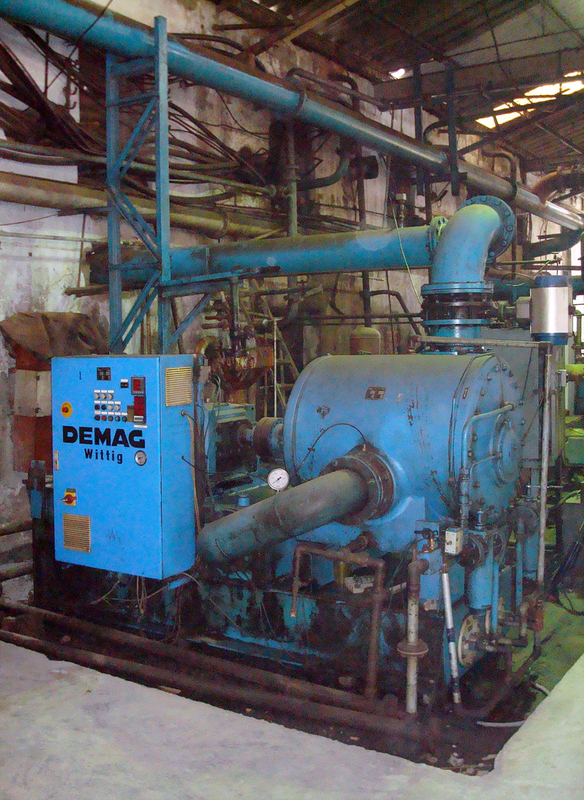 DVF300, to protect the UV pumps from the graphite lubricant coming from the IS machines. Designed to operate constantly with a minimal requirement of spare parts and maintenance work, this installation allows to save operative costs. Previously, the vacuum was created by WPSO 764 units dated 1997 with 20.000 to 38.000 hours of operation, rotary vane, water cooled, single stage pumps. The vacuum level was 200 mbar(a) and fortunately this value could be reduced to 115 mbar(a). The customer was trained to perform maintenance by himself, 20 technicians of HNGI assisted the maintenance instructions with very positive results. UV pumps only require the cleaning / replacement of 3 filters (air – lubricant – separator) and the lubricant itself. 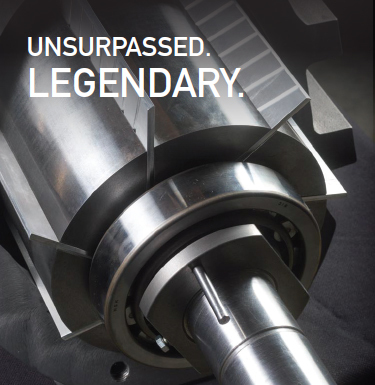 Depending on the contamination level of the pumps, the ordinary maintenance is executed every 8 to 12 months. 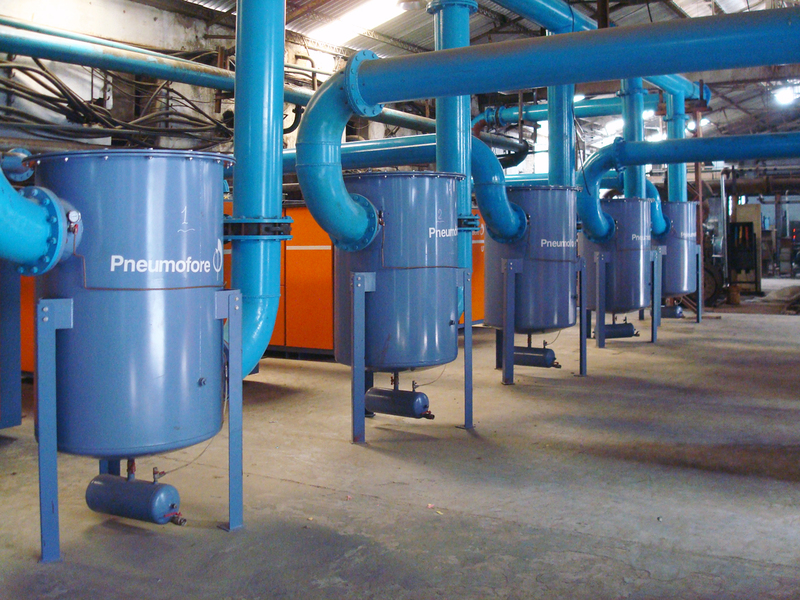 In this case, where the collaboration was fluent and all advices of Pneumofore were taken in consideration with the correct size of pipes and filters, the optimized dimensioning of the entire system allows important savings in power consumption. Another important feature of UV pumps is their easy handling, as they need no foundation, have a sound proof canopy and the on-board control and power panel. 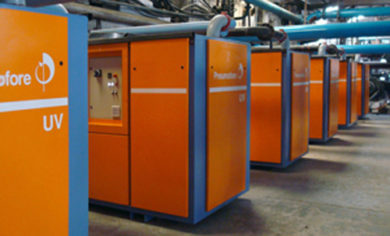 Like this, UV units are ready to use, as they only need pipe and power connection.